LAS VEGAS, Nevada, United States. A Liga-MX based Mexico side needed just a 20th minute goal from Alan Pulido to defeat Iceland 1-0. It was a performance in which Mexico was able to knock the ball around as they pleased, but often lacked the ruthlessness in front of goal to finish chances or the control and collective initiative to really hurt Iceland’s defense. 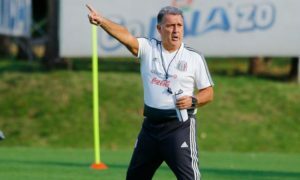 Juan Carlos Osorio’s side, who opened the match out of an attacking-oriented 3-4-3 look, immediately enjoyed most of the possession with the idea of creating chances from that possession. However, Helmir Hallgrimsson’s side, who preferred to defend in low blocks out of their base 4-4-2 formation, prevented Mexico from getting many clean looks during the early phases of the game. But in the game’s 20th minute, Alan Pulido opened up the scoring, heading a cross from Giovanni Dos Santos past Iceland goalkeeper Frederik Schram. The goal had come after Iceland had tried to clear a Mexico free kick, but instead cleared the ball to the LA Galaxy hitman. 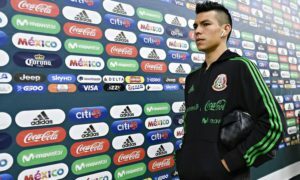 Pulido’s goal seemed to open up space for Mexico to create even more goal-scoring chances, but chances created by Jurgen Damm, Rafael Marquez, and others had failed to find a Mexico attacker for a shot on target. Iceland also had a half-chance after forcing a giveaway from a heavy-touch from a Mexico attacker near Mexico’s penalty area. But they could not turn the giveaway into a shot that tested Alfredo Talavera. From the start of the second half, Mexico continued to create chances even with seemingly wholesale changes to the teams on the pitch (teams had up to six changes for this match). After coming on to start the half, Raul “Dedos” Lopez created the first half-chance for El Tri on a long ball, but the cross from Orbelin Pineda could not be directed on goal by Alan Pulido. Mexico continued to create goal-scoring chances, often through or to Hirving ‘Chucky’ Lozano. 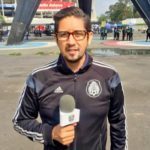 But the Pachuca attacker, along with Alan Pulido could not get shots–headed or by foot–on target inside the the penalty area. If they were, they did not cause Schram much problem despite putting the Iceland’s defenders on their back foot in dangerous areas. Ultimately, Mexico was able to hold onto its first-ever victory over Iceland. 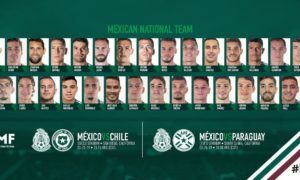 But their lack of collective play and incisive, instinctual off-the-ball movement, and lack of ruthless finishing leaves many question as to whether the players tested by Juan Carlos Osorio would be ready for World Cup qualifiers in March against Costa Rica and Trinidad and Tobago, as well as the 2017 Copa Oro and FIFA Confederations Cup if the usual Europeos and starters were suspended, injured, or otherwise refused a call-up to the national team. This Iceland team, filled with players based in Sweden, Iceland, Norway, and Denmark, did not really test Alfredo Talavera all that much. Nor did they force Mexico into many mistakes. Yet, their low blocks near their own penalty area to open the match, their defensive strategies later on, in combination with this El Tri‘s overall lack of fluidity, malice, synchronicity in the attacking third, and wastefulness in front of goal, served to frustrate El Tri. These are lessons that, even with the Europeos in the team, teams like Los Ticos could use against El Tri with great effect.